The region, hillside location, taste nuances, alcohol content, vintage year - professional sommeliers extract a great deal of information from every sip of fermented grape juice. A lot of information is also provided by Anton Paar's latest measuring device, although the data is different. Lyza 5000 Wine is Anton Paar's first FTIR analyzer and determines more than 13 characteristic values of wines or must. 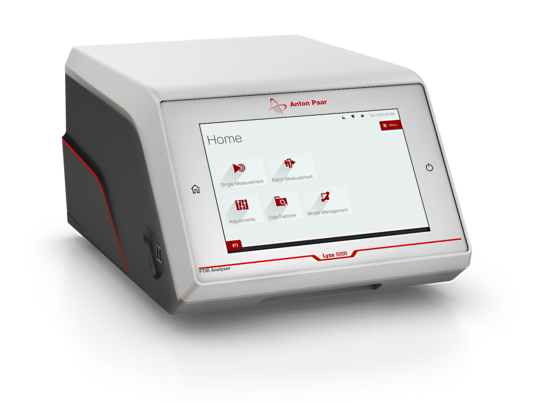 Forty-two seconds after being filled with 15 mL sample, the instrument displays the content of ethanol, fructose, glucose, titratable and volatile acid as well as an acid profile consisting of lactic acid, tartaric acid, and malic acid on a 10.1-inch touch display. pH value, density, glycerine, and extract are added. According to Stefan Müller, head of FTIR spectroscopy at Anton Paar, the acid analysis is particularly critical. When red wine is matured, malic acid is converted into lactic acid, which leads to a softer taste. White wine, on the other hand, requires a certain amount of malic acid to retain its fruitiness. Only Chardonnay also requires acidification. Like a professional sommelier, a wine analyzer learns through "tasting." Several 1000 different wines were "served" to Lyza 5000 Wine, and more will follow. "Our database allows us to analyze all the wines in the world, from strong port wines to non-alcoholic wine products," says FTIR specialist Müller. Measurements are currently underway in Europe, South Africa, Chile, and Australia to upgrade the instrument with new models for must analysis. The measurement technology itself is based on the FTIR principle, a sophisticated combination of infrared spectrum and subsequent mathematical calculation. The measuring cell manufactured in Anton Paar's mechanical production facility in Graz operates with attenuated total reflection so that the IR light beam interacts with the sample 12 times. "Our measuring cell design is less sensitive to bubbles or impurities. Furthermore, we can temper our cell to exactly 20°C in a range of 3/100 °C and thus always guarantee the same measuring conditions," says the product specialist. The users do not see a spectrum, but receive the exact evaluation on the touch display. "We have made operation as simple as possible," says Stefan Müller. Maintenance is also simple. Occasionally, the device has to be rinsed with water or calibrated ethanol. When the time comes, Lyza 5000 Wine reports automatically. 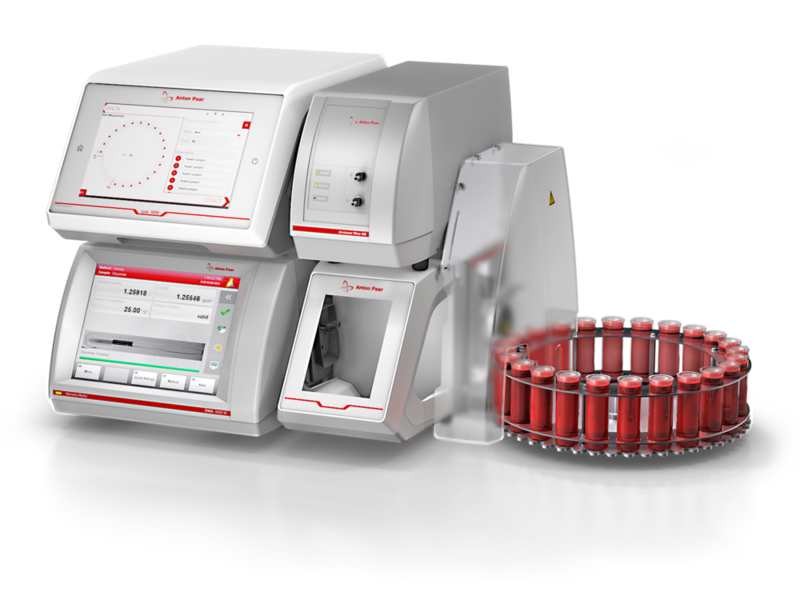 For a high sample throughput, as it is common in wine testing laboratories, the instrument can be connected to an autosampler or just combined with a more precise DMA density meter or Alcolyzer.